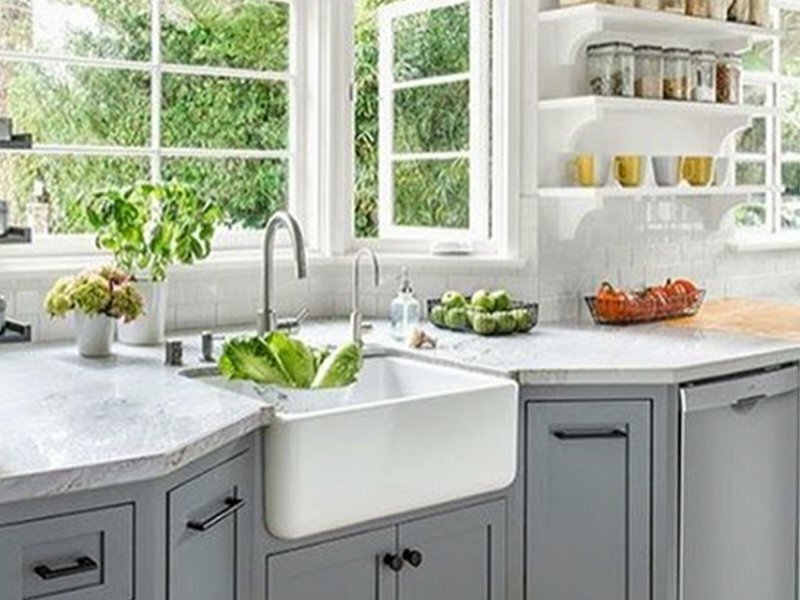 Here's how you can clean your kitchen faster than you usually do. You’ve just cooked a full meal and sat down to eat it after a long and tiring day. Once you’re done, all you want to do is relax, but the dishes are sitting there and you just know you have to clean them and wipe down the counters. Kitchen chores are some of the worst, but there are ways to keep on top of the mess and save time – so that you spend your precious free time doing the things you want to instead of being up to your elbows in Handy Andy every night as you clean! Everybody dreads cleaning the oven. It’s hard work, it’s really time consuming and the things that come off are enough to make you shudder. Even the fancy ‘self-clean’ ovens leave a lot to be desired. This cleaning trick will make it far easier and quicker to get your oven looking brand new again, though. Warm your oven up to about 70 degrees (generally the lowest option available), then turn it off again. Put a bowl containing half a cup of ammonia on the top rack of your oven, and a pan of boiling water on the bottom, then close the oven and forget about it for the night! The next day, all you have to do is open the oven door for five minutes or so to let the air out and then wipe everything clean with a slightly damp cloth and a tiny bit of sunlight. All of the mess inside your oven and over your racks will wipe off with no problems and all you have left to do is wash the cloth properly! Blocked drains make doing the dishes nearly impossible, and can start to smell pretty bad if there are bits of food creating the blockage. Rather than getting out the plunger, try this super quick and easy method first. Boil the kettle and pour it down the drain. Meanwhile, put half a cup of baking soda down the drain and let it sit for a minute or two. Follow up by pouring an equal amount of white vinegar down the drain and pop on the plug. The reaction means it will foam quite intensely, but let it bubble away for a couple of minutes. Then boil the kettle once again and pour it directly down the drain. It will loosen up the grim and help clear the blockage and get rid of any smells. We’ve all been there. You put something on to cook then get distracted and returned to a burnt and smokey mess where your once-shiny pan was. There’s no need to throw away your favourite pot though, or at least not until you’ve tried this hack – which doesn’t involve scrubbing away for hours and hours! Trusty baking soda comes to the rescue again here, and all you need to do is add a few tablespoons of it to your pot and then enough water to cover the baking soda. Turn on the heat and let it simmer for 10-15 minutes, then take it off the heat and the scorched mess should come off easily. Sure, you probably know that this is common sense, but soaking your dishes in warm water really does make the cleaning process so much easier. Use boiling hot water and dishwashing liquid while you’re cooking to fill the sink, and simply put any boards, pots or plates you’ve used into the sink as you go. Do the same after you’ve eaten. By the time it comes to actually washing the dishes, the water will have cooled down and there’ll be no dried-out food stuck to the plates, so your job is made loads easier! Greasy, oily stains can be a nightmare to get clean. Before you break out the bleach, try using a bit of sunflower or coconut oil dabbed on a paper towel to wipe over any greasy or oily spots – you’ll be amazed to see all the greasy mess coming right off.